Why Do Russian Journalists Keep Falling from Buildings? Stańczyk during a ball at the court of Queen Bona in the face of the loss of Smolensk) is a painting by Jan Matejkofinished in 1862. Stańczyk (c. 1480–1560) (Polish pronunciation: [ˈstaɲt͡ʂɨk]) was the most famous court jester in Polish history. He was employed by three Polish kings: Alexander, Sigismund the Old and Sigismund Augustus. He is remembered as a man of great intelligence and a political philosopher gifted with formidable insight into Poland's current and future situation. He used his job to criticize and warn his contemporaries by the use of satire. His witty jokes often pertained to current political or court matters. Stańczyk's remarks and jokes were preserved by numerous contemporary writers and historians, including Łukasz Górnicki, Jan Kochanowski, Marcin Kromer, and Mikołaj Rej who praised him for fighting hypocrisy in the name of truth. Some sources even go as far as to call him a "personal friend to Marcin Kromer, to the dislike of the bishops". Russian journalist Maxim Borodin, who died from a fall from a fifth-floor balcony, had written about crime and political corruption the local Novy Den website. Maybe Maxim Borodin was depressed in ways his friends just didn't recognize and threw himself off of his fifth-floor balcony this week in Yekaterinburg, Russia. 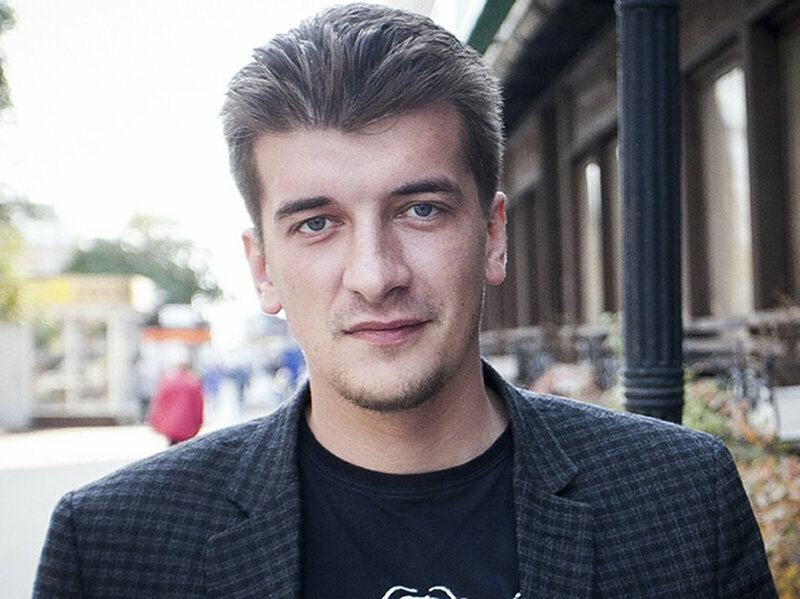 Maxim Borodin was 32 and a reporter for the local Novy Den website, for which he had done tough stories about crime and political corruption, including Yevgeny Prigozhin, an oligarch indicted by the United States for running the "troll factory" that helped Russia try to influence the 2016 U.S. presidential election. Maxim Borodin wasn't just reporting on the latest craze in spa treatments. Reporters for the website say there were no signs of a struggle in his apartment. But he had been previously threatened for his stories, and Paulina Rumyantseva, his editor, told CNN, "As Maxim had big plans for his personal life and career, there is nothing to support a verdict of suicide." Journalism is a dangerous trade in Russia. Dozens of Russian journalists have been murdered since 2000, according to the Committee to Protect Journalists and the Glasnost Defense Foundation. They weren't covering shooting wars or riots but powerful Russian institutions. A surprising number have implausibly fallen or slipped to their deaths. In March 2007, Ivan Safronov, who was investigating the sale of Russian arms to Iran and Syria, died after falling from a fifth-floor window. It was ruled a suicide. In November 2009, independent broadcaster Olga Kotovskaya fell to her death from a 14th-floor window. She had been battling for control of her station with a member of the government. Her death was also ruled a suicide. In February 2012, Victor Aphanasenko, editor of a newspaper that had been investigating paramilitary raids in southern Russia, died after slipping in his home. In November 2015, Mikhail Lesin, who was often described as President Vladimir Putin's state media czar but who had fallen out of favor with him, was found dead after a fall in his hotel room in Washington, D.C. The FBI says he fell from extreme drinking and had "blunt force trauma to the head" and injuries to his neck, arms, legs and torso. That must have been some fall. In March 2017, Nikolai Gorokhov, the lawyer for Sergei Magnitsky, who was the source of reporting on Russia's largest tax fraud, fell from a fourth-story window while trying to move a bathtub. Russian authorities made that explanation with a straight face. Their names are on a roll of honor with almost 30 more dauntless Russian reporters. Let us hope brave Russian journalists stay away from windows.